The lines on the bends of this track are burnt in to the grass and thus it is considered to be a permanent track. It appears however that the lines down the straights are only marked in the summer. The infield is a rugby pitch and the inside line of the back straight and the touchline on that side are coincident but the touchline on the home straight side is in the middle of lane 3. There is a sprint straight to the outside of the home straight but only the ends of this track are permanently marked. There used to be a steeplechase water jump inside the top bend but this has been grassed over. 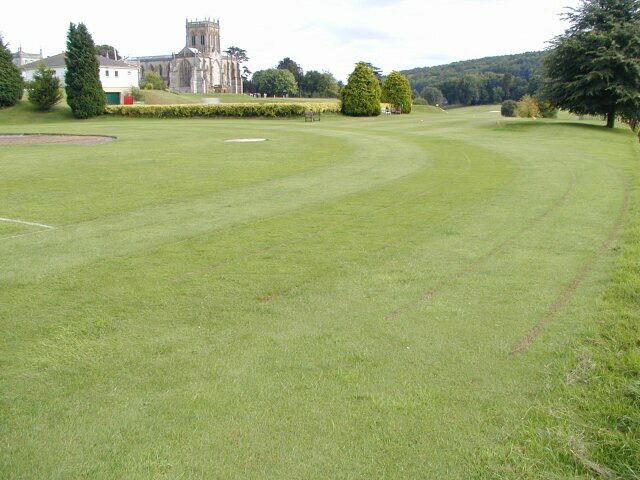 The track is situated in beautifully maintained grounds with views to Milton Abbey which is now an independent school.